Nebraska Wesleyan's Dayton Dolincheck, photo by Anderson Studio, used courtesy NWU Sports Info. 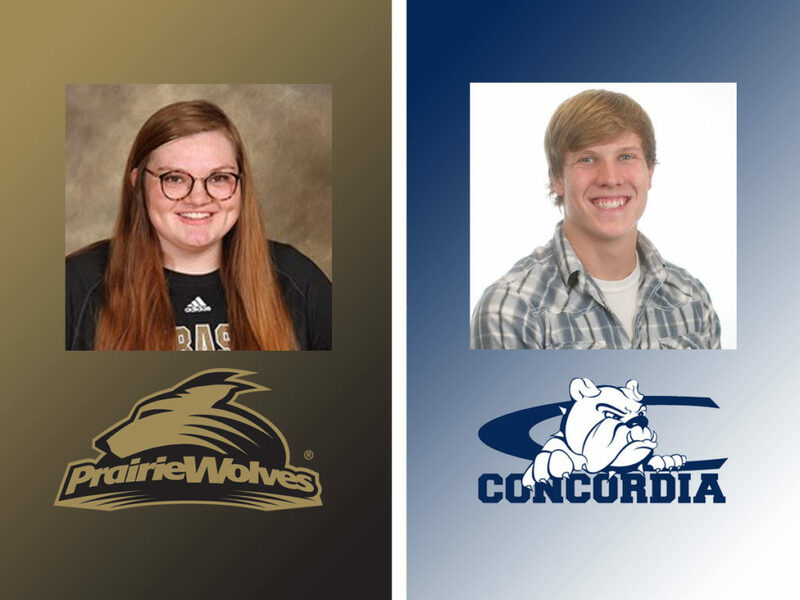 Concordia's Josiah McAllister, photo courtesy CUNE Sports Info. 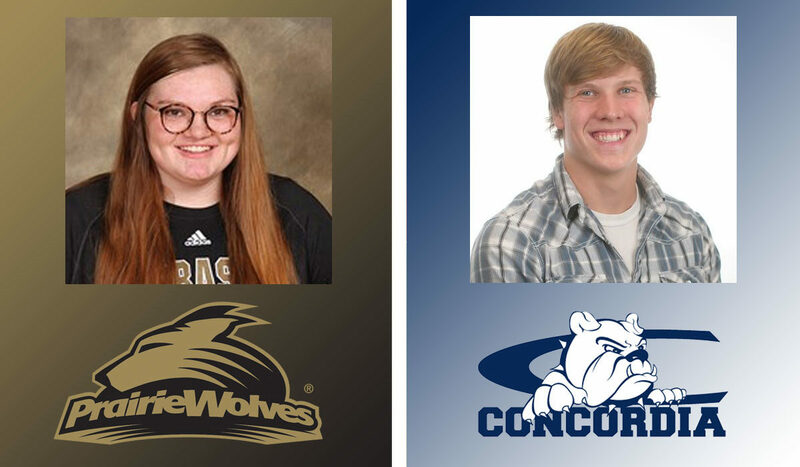 This week’s Nebraska college Players of the Week are Dayton Dolincheck, NWU, and Josiah McAllister, CUNE. Dolincheck won the shot put at the Fred Beile Invitational with a season-best mark of 47-0.75. That mark is currently the third-best in Division III this season. McAllister run an NAIA-best time of 2:29.93 in the 1,000 m at the Concordia Classic. The senior also ran a 51.0 split as the anchor leg of the 4×400 meter relay that took first place with a time of 3:20.04, That time ranks No. 4 in the NAIA.